The rise of the gig economy has led to more and more people working flexible jobs in the services or hospitality industry. The appeal of these kinds of jobs is that they can act as a supplement to a person’s primary income and they can choose when and when not to work. The Klooger v Foodora Australia decision handed down by the Fair Work Commission in November 2018 has cast doubt on the legal protections offered to those in rideshare services, and it is important to be aware of your legal rights. Sham contracting occurs where a person working as an employee is told that they are an independent contractor when they are not. Sham contracting is a civil remedy provision under s357 of the Fair Work Act 2009 (Cth) which means if prosecuted, the Court can effectively fine the Company and those involved in the contravention. Some employers seek to categorise employees as contractors to avoid having to pay minimum wages or other employee benefits like annual and long service leave, superannuation or worker’s compensation. employees accrue leave entitlements and contractors do not. In performing that work, is that person working in and for that person’s business as a representative of that business and not of the business receiving the work? If the answer to that question is yes, in the performance of that particular work, the person is likely to be an independent contractor, if no, then the person is likely to be an employee. The Fair Work Commission has delivered two interesting decisions regarding the classification of gig economy workers as either employees or contractors. drivers were prohibited from wearing apparel or bearing colours of marks of Uber and were not treated as emanations or representatives of Uber. The ruling is controversial as countries such as the United Kingdom have held that Uber drivers are employees. It means that Uber is not required to pay minimum wage or other benefits like annual leave to their drivers, the drivers are not protected from unfair dismissal and Uber are not responsible for the conduct of drivers as they work. 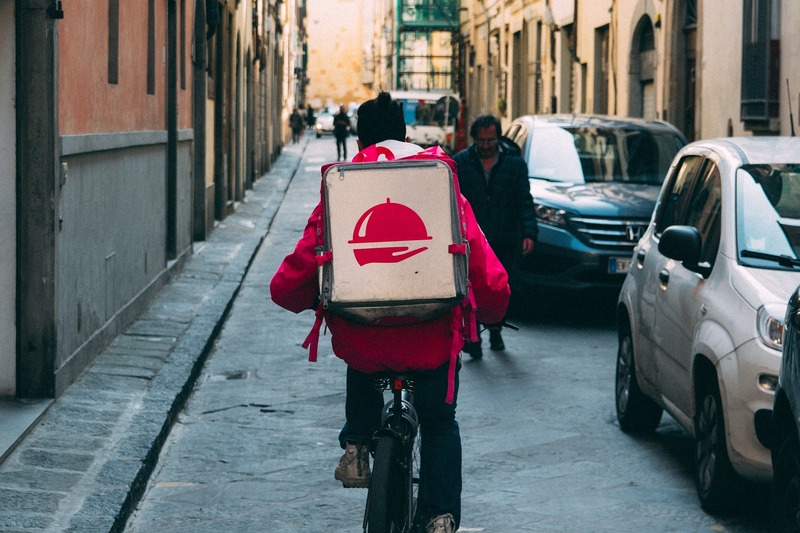 In contrast, the Fair Work Commission in November 2018 ruled on a similar dispute as to whether a food delivery courier for Foodora was an employee or independent contractor for the purposes of an unfair dismissal application. Foodora is one of a number of food delivery services that allow drivers to accept or reject jobs and collect and deliver food to customers. The Commission heard a number of arguments about the nature of the relationship between Foodora and the couriers it engaged and the dispute primarily turned on the ability of couriers to subcontract their work to others. While representatives for Foodora suggested that the ability to subcontract was indicative of a relationship of contractor and principal, the Commission found that the service contract only permitted this when the worker was unable to perform shifts and then only with the prior consent of Foodora. The Commission also found that the couriers were “emmanations” of Foodora owing to a requirement to wear branded attire and use equipment sporting Foodora livery. This was in contrast to Uber drivers who were prohibited from doing so. The courier in this case undertook work on his bicycle, which the Commission deemed as not requiring a high level of skill or care to operate nor required a substantial investment or maintenance, thus favouring the employee characterisation. Based on these factors, the Commission concluded that the drivers for Foodora were a part of that business and not carrying on a business of their own. While your employer or employment contract may define or characterise you as an independent contractor, it is worth while taking the time to investigate the true nature of your employment relationship. If you think that you are not in receipt of your full entitlements or uncertain about whether you are an employee, we can help you by discussing your working conditions and can give you advice on your legal rights. You can book a 15 minute obligation free chat about with one our solicitors by following this link – https://calendly.com/genevieve123 or calling 1800 RES 123.